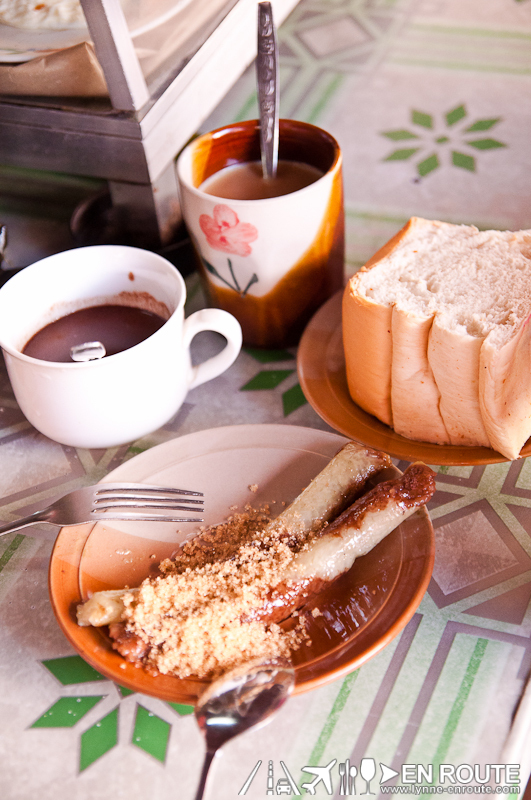 One thing that some sites said was worth trying in Dumaguete was the native delicacy Bud-bod. Specifically, Bud-bod Kabog. Bud-bod is basically sticky rice wrapped in banana leaf, similar to suman. 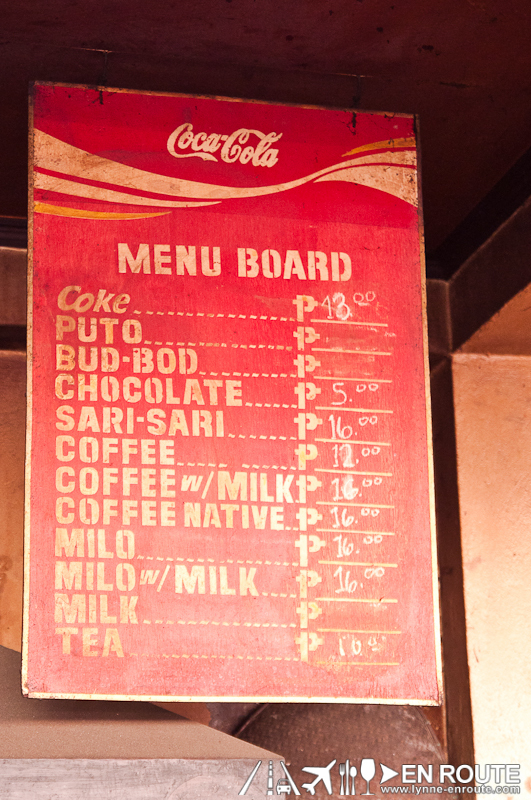 Bud-bod kabog, however, is different in that it is made from millet (that’s the kabog). Millet is a grain that is normally used in making roti. It’s supposed to be slightly sweet with a bit of wheaty/nutty flavor. 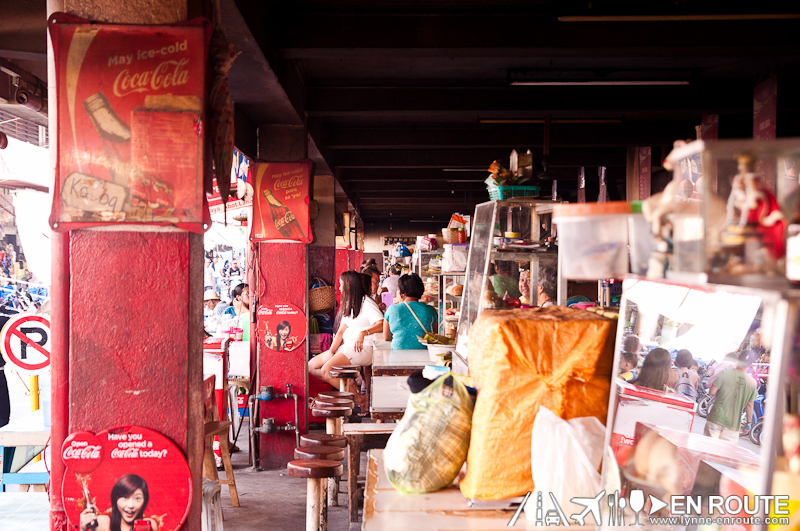 Bud-bod can easily be purchased in one of the painitan (some sort of quick breakfast shack) in the Dumaguete City public market. 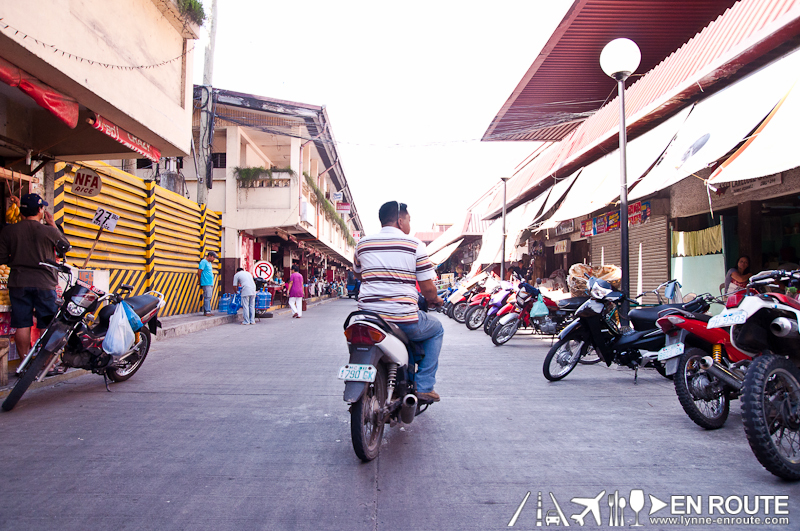 It is easy to walk around this market because even with its sheer size, the alleys are so clean and orderly. They are quite, expensive, too. 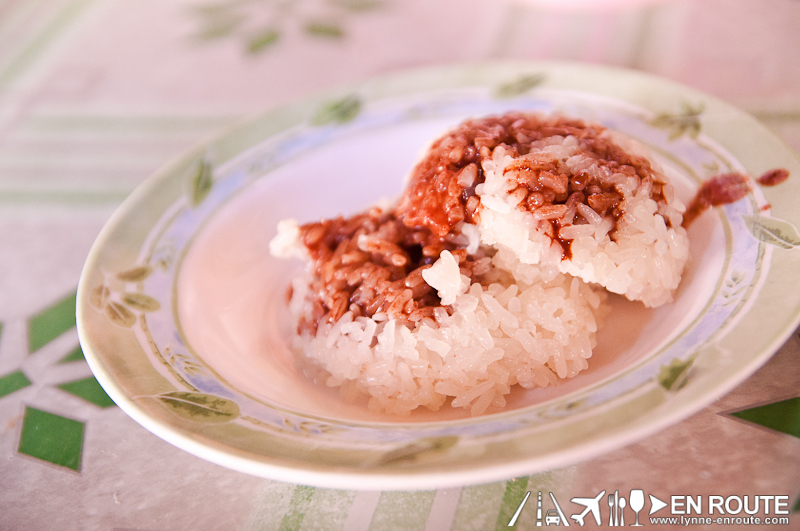 Given the rarity of use of the Kabog grain, a Bud-Bod Kabog costs PHP 15.00 a piece, as compared to the Bud-Bod with chocolate that was only PHP 5.00 per piece. 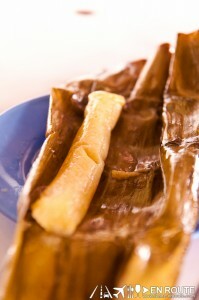 Opening it up, it also looked like the regular suman. There is a faint and mild sweetness and wheat scent. It is a bit grainy in texture on the tongue. It was quite an experience having it in one of Dumageute’s painitan. It is great to also have it with native chocolate or tsokolate at about PHP5.00 a cup. Heard that it goes great with some sweet mangoes, too 😀 ! 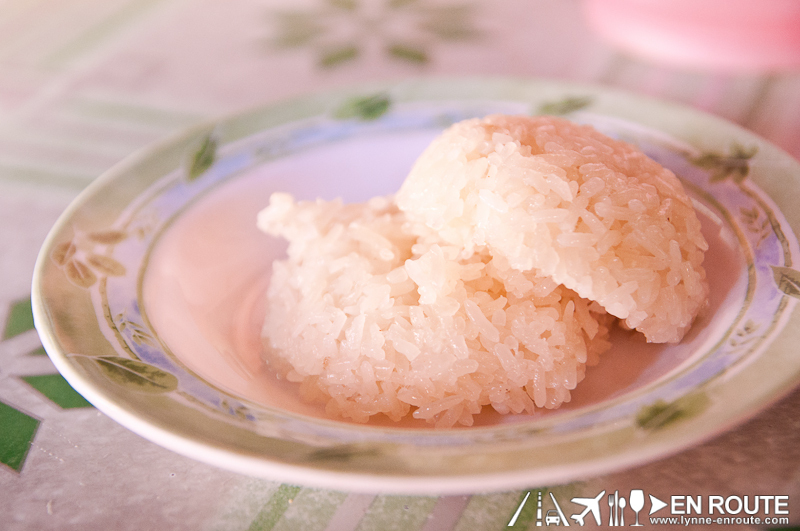 Silky film of the milk is great with the chewiness of the sticky rice. This was just about PHP 2.00 per clump. The painitan owner suggested to smother a bit of tsokolate in it. And she was right 🙂 ! 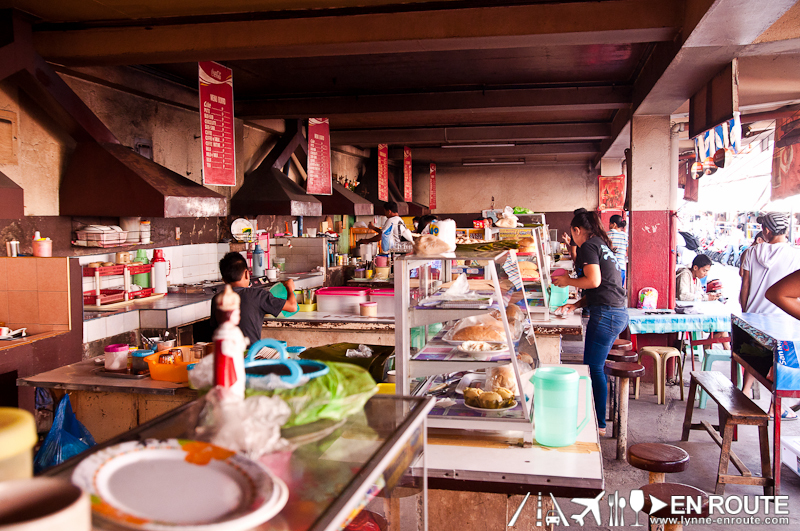 After a few minutes and spending something to the tune of PHP 100.00 for two, it was quite filling, with all those carbs, grains, cocoa and sugars sinking at the bottom of the stomach. 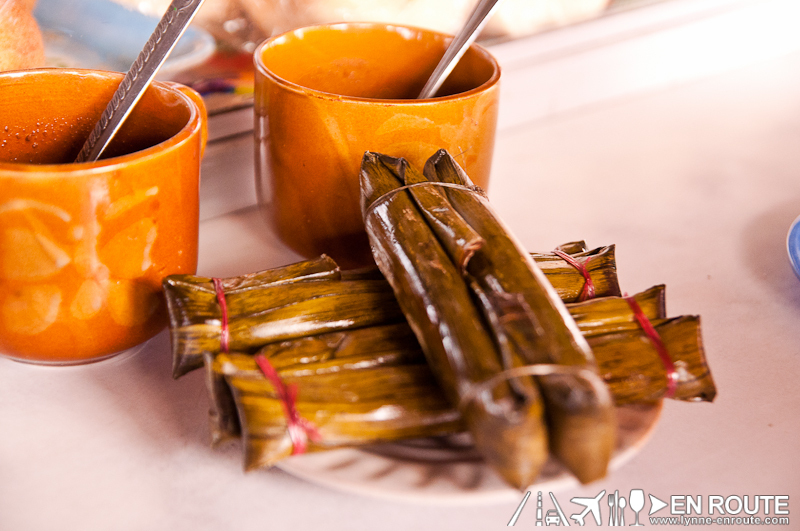 The painitan and Bud-bod kabog are a must try when visiting Dumaguete. 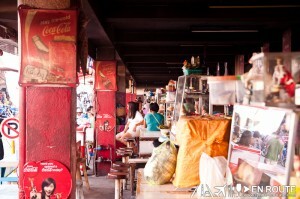 Look for these delicacies in the painitan section of the Dumaguete Public Market. Worth noting: Best to eat at the stalls nearest the side of Bishop Epifanio Surban Street. 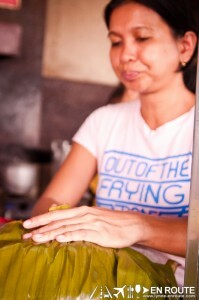 The stalls here seem cleaner and the owners a little friendlier. yummy!! i’ve only tried budbud from one of the stalls in a weekend market before. I did hear that some weekend markets here sell it. 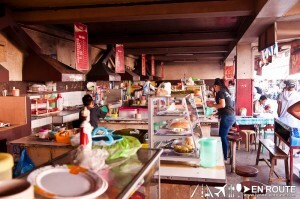 I think it’s Salcedo Market? but it is very expensive here…. Yes. I think it is from importing the kabog grain. It is good 😀 ! 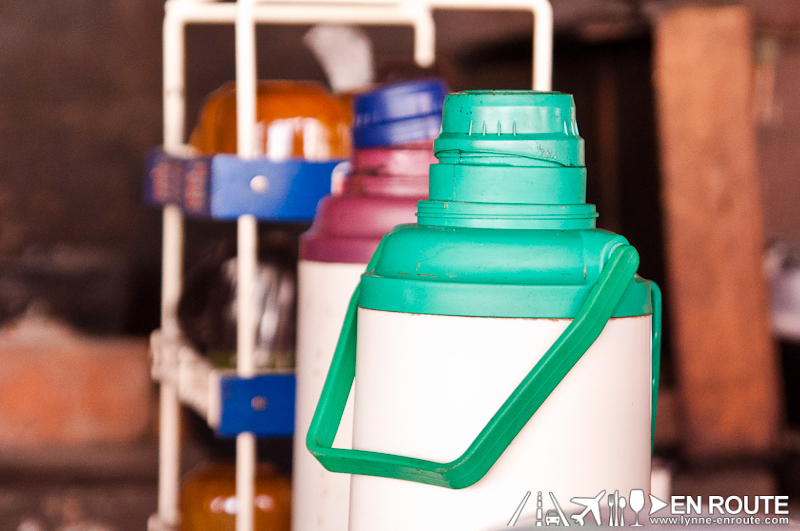 And immersing into the local culture seems to make them feel happy that you try to blend with them as well. I love Dumaguete 🙂 !